Frank Stella “Harran II” 1967, polymer and flourescent polymer paint on canvas. Image courtesy the de Young Museum. 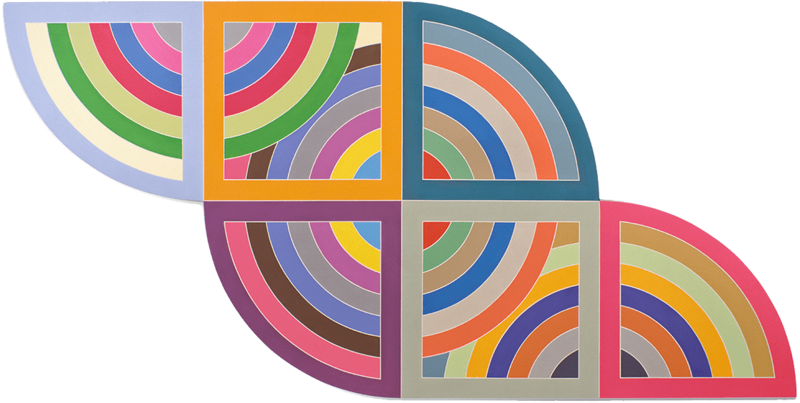 November 5th to February 26th – Frank Stella: A Retrospective at the de Young Museum: Frank Stella: A Retrospective surveys the career of this towering figure in post-WWII American art. Fifty works, including paintings, reliefs, sculptures and maquettes, will be displayed at the de Young, representing Frank Stella’s prolific output from the late 1950s to the present day. This will be the first comprehensive U.S. presentation devoted to the artist since 1970. For almost six decades Frank Stella has been one of the most important and influential figures in the evolution of modern art, expanding the definitions of art and challenging its conventions. Exploring pictorial space—how paintings can seem to expand or contract, lie completely flat or envelop the viewer, suggest movement or foster stillness—has led to some of Stella’s most significant innovations. In its examination of his work, this exhibition considers Stella’s long-standing interest in the picture plane, presenting early paintings that reference the spaces where he lived and worked; his groundbreaking use of color, shape, and volume to map new possibilities for abstraction; and finally his use of advanced technology to evoke new conceptions of space. Ana Mendieta still from “Creek” 1974, super 8 film, color, silent. Image courtesy BAMPFA. November 9th to February 12th – Covered in Time and History: The Films of Ana Mendieta at BAMPFA: During her brief career, from 1971 to 1985, Ana Mendieta (1948–1985) produced a stunning body of work that included performances, drawings, sculptures, installations, and photographs. Less known, however, is her remarkable and prolific production of more than one hundred films. Covered in Time and History brings together twenty-one recently preserved films—many of which have had little previous exposure—in addition to a selection of related photographs; it is the largest grouping of the artist’s films ever presented in an exhibition in the United States. Download the exhibition brochure and list of films here. Installation shot from the 2015 juried exhibition. Image courtesy of Southern Exposure. Friday, November 11th 7:00 – 9:00 pm – Me and You and This Other Thing at Southern Exposure: Opening reception for Me and You and This Other Thing, Southern Exposure’s 25th Annual Entry-Fee-Free Juried Exhibition of new works by Northern California artists. This annual event is the premier showcase of contemporary artwork by promising local talent. With a different theme each year, artists are encouraged to pursue a broad range of artistic expression across media. This year, the title of the juried show is an imperative! Southern Exposure supports artists working together. The presented works will be made in collaboration by at least two people. Guest juror Francisco Cordero-Oceguera selected the works by blind process, choosing pieces across media that responded to this year’s focus on collaborative visual art practices. The exhibit runs from November 5th – 23rd, Southern Exposure is located at 3030 20th Street in San Francisco. 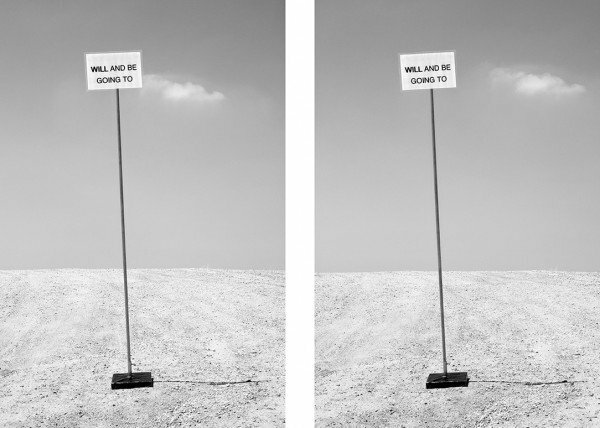 Shannon Ebner “Will and Be Going To” 2016, archival pigment prints, two parts. Image courtesy Altman Siegel Gallery. November 11th to December 17th – Will and Be Going To at Altman Siegel’s new space: This will be the inaugural exhibition of the gallery’s new space at 1150 25th Street. Will and Be Going To includes new works by each of the gallery artists, drawing together painting, sculpture, photography and video in a multidimensional celebration of Altman Siegel’s gallery program. 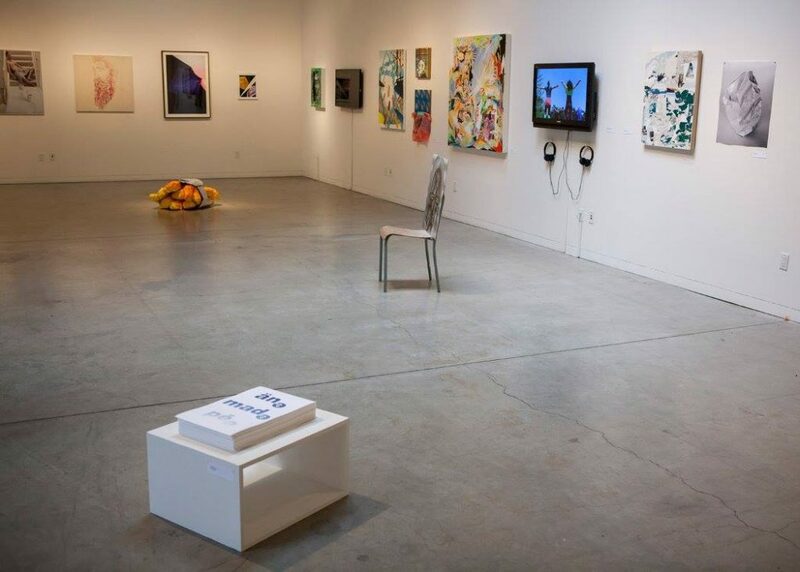 Since 2009, the gallery has offered a platform for international artists to exhibit in San Francisco, often for the first time, while fostering the growth of local artists through participation in international art fairs and museum exhibitions. In early November, the gallery will relocate from 49 Geary Street, to the third industrial warehouse of the innovative new Minnesota Street Project. Designed by Katkin Architecture, the new location will occupy one third of a warehouse currently under renovation by Jensen Architects. The expansive building features natural light, original I-beam bracing and 40-foot ceilings. With 5,000 square feet of exhibition and viewing rooms, the new space will more than double the gallery’s current size. The opening reception is Friday, November 11th from 6 – 8 pm. SFAI artists from last year’s event. Image courtesy of SFAI. November 12th and November 13th – Concentrate: An Uncommon Art Sale + Festival at SFAI: In this once a year event, SFAI is transformed into an all-campus art sale by current undergraduate and graduate student artists. Come for diverse offerings in art, enlivening conversation, local food and drink, and celebrating emerging artists. Saturday night opens with a first-look at the expansive, salon-style student art sale, plus the juried alumni exhibition in the Diego Rivera Gallery. Sunday, the sale continues with activities for SFAI alumni to reconnect. The opening reception and sale kickoff is Saturday, November 12th from 5 – 8 pm. SFAI is located at 800 Chestnut Street in San Francisco.